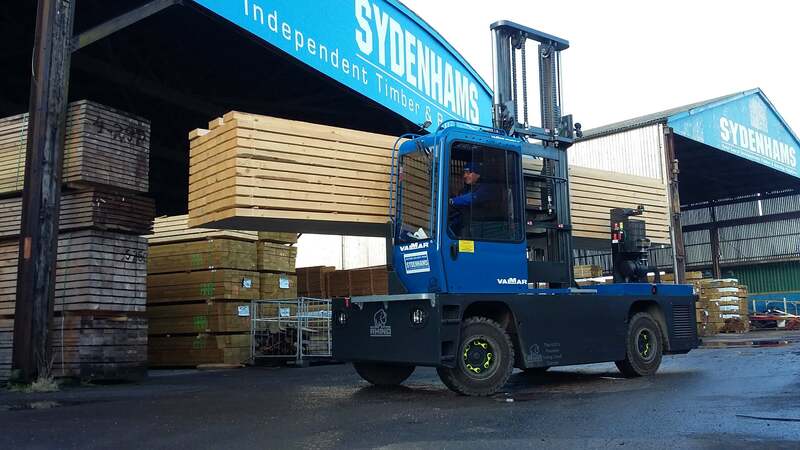 Sydenhams are one of the South of England’s highly established and largest independent timber merchants and importers. We have the ability to meet the requirements of a wide range of customers which include national house builders, local builders, self-build and also the DIY enthusiast but, we can also provide specialist trades with a unique service. Here at Sydenhams, we can supply everything from Carcassing timbers (stress graded and treated), a vast range of quality Joinery timbers, Hardwoods and a comprehensive range of machined goods. We also stock Sheet materials, M.D.F. mouldings and our engineering branches can design and manufacture, I-Beam Floor systems, Easi-Joists systems, Truss Rafters and Timber Frame housing. As a large importer, Sydenhams put all its efforts towards sourcing timber from well managed forests which are certified by FSC® (C110484) and PEFC. Look for our FSC®-certified products. We also have 2 automated, well equipped milling facilities which provide a large stock range of Prepared and Moulded Joinery timbers and the ability to machine individual requirements in various species. Our staff, with an extensive understanding of timber and related products, provide a reliable and efficient service for an ever-expanding customer base seeking this valuable service. Specialist Hardwoods like Greenheart or Ekki. We can source and supply all kinds of softwood. From Plywood to MDF to assist with any project. With 28 branches located all over Central South & South West, we're never too far away!